Dr. Lina Garcia is a Doctor of Medical Dentistry as well as a Doctor of Dental Surgery. For over 30 years, Dr. Garcia has been dedicated to the research and teaching of alternative solutions for conventional dentistry. Dr. Garcia is also trained in cranial osteopathy and works with an osteopathic physician and a nutritionist to help guide her patients toward optimal dental and overall health. Dr. Lina Garcia has been on staff at Alexius Medical Center in Hoffman Estates, Oral Surgery Group in Merrillville, Indiana and Methodist Hospital in Gary Indiana. She graduated from the University of Nova Friburgo Dental School in 1985 and did her residency at Sesi Hospital in Rio de Janeiro. 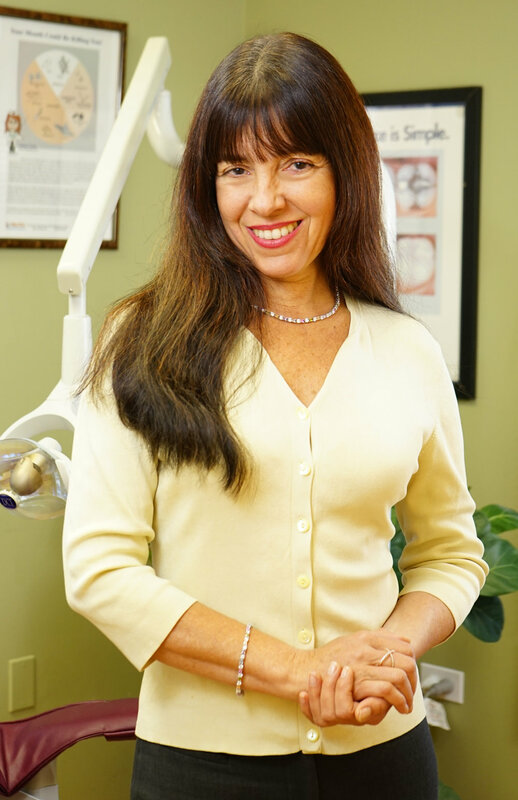 She graduated from the Boston University Advanced Dental Program in 1991. Dr. Garcia has trained around the world and is excited to be able to offer holistic services at her practice. She sees patients from all over the United States and worldwide, and looks forward to seeing you in her office. Dr. Garcia works very hard to accommodate out-of-state patients. If you are unable to travel, phone consultations are available by appointment. Please call our office and we will set that up for you. Dr, Joseph Grasso, DO is Board Certified in Family Practice and uses Traditional Osteopathy to treat patients at this location. His services have proven helpful for people suffering from pain and limited motion associated with TMJ Disorder.